From March 5 – 11th you’re going to be hearing a lot about, and from, children and young people at Volunteering Matters. As you may know we focus our work on four communities – disabled people, older people, families and (drum roll please) young people. And for seven days, imaginatively titled “Young People’s Focus Week”, we’re going to be shining the spotlight on just this area of our work. We’re launching new Grandmentors projects, bringing this inter-generational mentoring project to new parts of the country. We’ve got our WASSUP (Women against sexual exploitation and violence Speak Up) volunteers in Ipswich talking to Jess Phillips MP for International Women’s Day. We’ll be offering you the chance to look behind the scenes of our long running, but never more important, Full Time Volunteering programme. 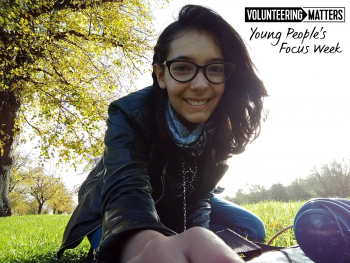 There’ll be new and exclusive content going up on the website and social media every day show you what our young volunteers get up to – and what they care about. And with all this going on, what do we want you to take away from Young People’s Focus Week? Mainly that our volunteering isn’t something done to young people. With and through us young people discover what they care about, and are able to do something about it. We refuse to see any young person, no matter their circumstances, as anything other than an asset. That description works just as well for vulnerable children in North Lanarkshire matched with our volunteer befrienders as it does for our young Positive Futures volunteers designing and delivering their own social action activities in East London. Our projects and programmes give young people the life skills, experience and confidence they need to make the best possible start in life. Not only that but we hope it is just the beginning of their volunteering journey. We firmly believe that once you’ve taken your first steps in to volunteering it’s very hard to stop. By investing in our work with and for young people we are creating volunteers for life. So ultimately and unsurprisingly we want to see even more of our projects and programmes across the country. We want our focus week to help you understand what we do – and why it matters. So may I suggest that you set yourself a reminder to check the #volunteeringmatterstoyoungpeople tag every day and see what we’re up to.